Our infrared objective lenses deliver crystal-clear thermal images and accurate measurements. The infrared objective lenses from Jenoptik operate with great security and reliability in the spectral range from 3 to 14 micrometers. We offer both simple fixed-focus objective lenses and complex optoelectronic-mechanical modules. Our experts can also produce infrared objective lenses tailored to your individual requirements. The objective lenses are developed and designed specifically for your needs and adapted to your existing systems. They are thus able to withstand mechanical and thermal stresses and survive in harsh environmental conditions. We regularly test our infrared objective lenses in production environments, enabling us to guarantee maximum performance and precision. 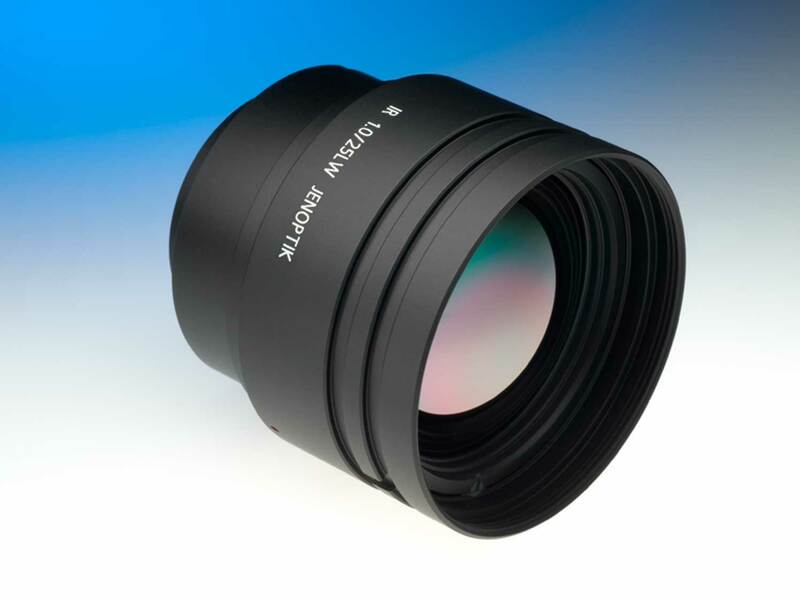 Our objective lenses also meet the strict requirements of the DIN ISO and MIL standards. You will benefit from our years of experience and our comprehensive service. We will support you in all phases, ranging from planning and prototype manufacture to series production and system integration.